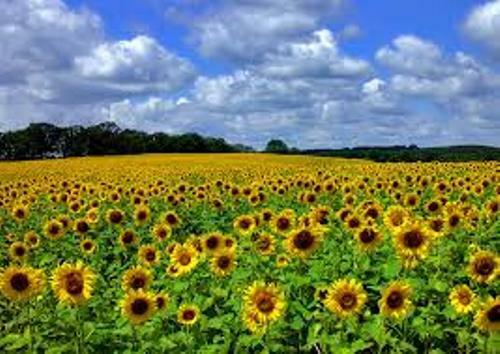 There are around 70 species of sunflowers located in the genus of helianthus. All of them are included in the family Asteraceae. 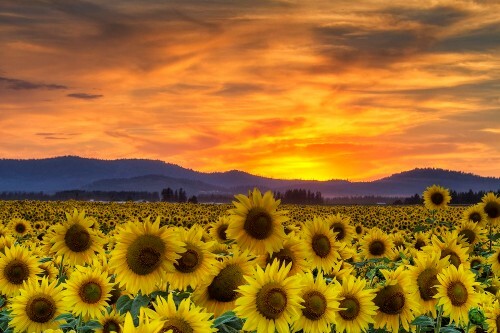 Only three species of sunflowers are native to South America, while the rest of them are originated to North America. The common sunflower or helianthus annuus and H. tuberosus or Jerusalem artichoke are grown by the people who live in the temperate regions. The people will use them as the ornamental plants and food crops. The sunflowers can be differentiated from the rest of the members in the family Asteraceae for it has the caduceus pappus. When it is mature, the pappus will fall and detach from the disk flowers. There is one species of sunflower which is lack of pappus. But there are some species of sunflowers which have the extra shorter scales. You can also check the sunflower under the microscope if you want to know the difference of sunflower with other members in the genus. You can spot the apex where it has the multicellular appendage. The symmetry of sunflower is very famous in the scientific world. The symmetry has been the subject in the Golden angle and Fibonacci numbers. The most familiar species of sunflower is H. annuus. It is the domesticated sunflower. Get facts about rice here. The members in this genus have disk flowers. Most of them are in yellow tone. But you can also spot the reddish lobe on some few disk flowers. The people who have a fabulous garden usually are not selecting the perennial sunflowers to decorate the garden due to invasive characters. Get facts about seed here. In 2014, U.S. Fish and Wildlife Service listed H. verticillatus as endangered species. 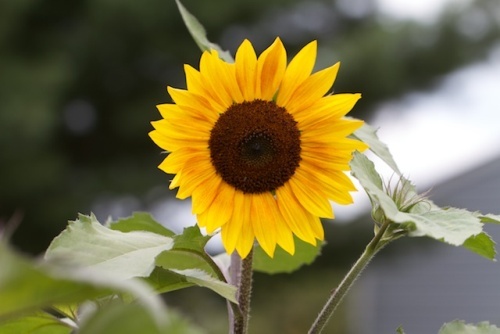 The common name of this sunflower is whorled sunflower. 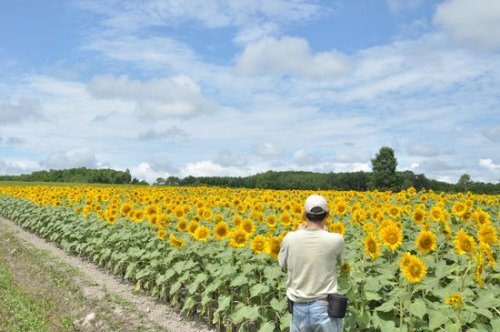 Do you enjoy reading facts about sunflowers?